Every year some of the world’s brightest minds, most compelling figures and creative artists come together in Austin, Texas, for 10 days of inspirational speeches, informative presentations and panels, and incredible musical acts at the South by Southwest Interactive Festival (SXSW). 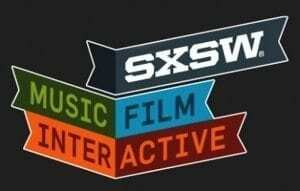 This year represents the 22nd annual SXSW Festival and runs from Friday, March 13 through Sunday, March 22. And while everyone and everything at SXSW is worth experiencing, you should take some tips for making the most of your experience there. Prioritize what you want to do most. It’s important to have an itinerary and plan for which events and acts you’ll see. And while you can stream certain events on the SXSW website via a dedicated YouTube channel or through media partner Roku, you probably don’t want to miss certain keynote speakers and presentations. Ava DuVernay. As the first African-American woman to be nominated for Critics Choice and Golden Globe Awards for Best Director (Selma), Ava DuVernay has already had a significant impact on film during her relatively short time in the industry. However, while she’s gained national recognition for her work on Selma, she has also been a part of successful films and features like Middle of Nowhere, I Will Follow, This is The Life, and My Mic Sounds Nice. Prior to becoming a director, DuVernay worked as a publicist and film marketer for nearly 15 years. She is also the founder of the AFFRM, an African-American film distribution collective. DuVernay will deliver a keynote on the state of the industry. Genevieve Bell. As a vice president and Intel Fellow and director of user experience research at the Intel Corporation, Genevieve Bell’s career speaks for itself. She’s an accomplished researcher and anthropologist who has spent nearly 20 years innovating for Intel. She’s been named one of the “100 Most Creative People in Business,” has had her work published in the Wall Street Journal, Forbes and New York Times, and the Anita Borg Institute honored her as the 2013 Woman of Vision for Leadership. Bell will be delivering a featured session titled “User Experience Design Shaping Our World,” alongside Professor Mimi Ito. Whether you’re attending in person or streaming online, make these three successful and inspirational women part of your SXSW itinerary this year (not to mention the dozens of other powerful names). Their experiences, stories and progressive ideas have the potential to change the world and you don’t want to miss this wonderful opportunity. For a look at a complete list of featured speakers, please check out the schedule page. Previous articleIs It Possible to Juggle Motherhood and Business Travel?